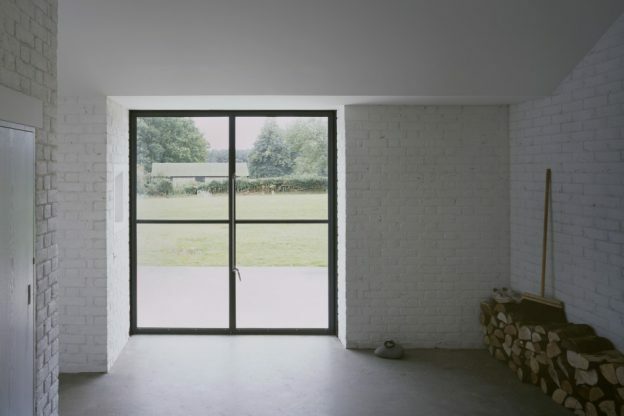 a contemporary stable block in white. | owl's house london. 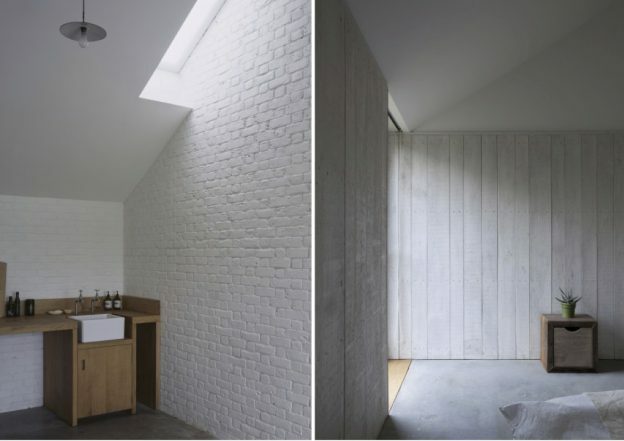 a contemporary stable block in white. Researching barn conversions for a current project led me to this reworked, nineteenth century stable block situated in a lovely bit of rural north Norfolk (and currently for sale, here). For me it’s a perfect example of a conversion that acknowledges its provenance without suffering for it. The spaces are laid out along the length, each opening onto the tranquil landscape beyond. The long narrow footprint is divided simply into two – living and sleeping – the one open and light filled, the other enclosed and calm. 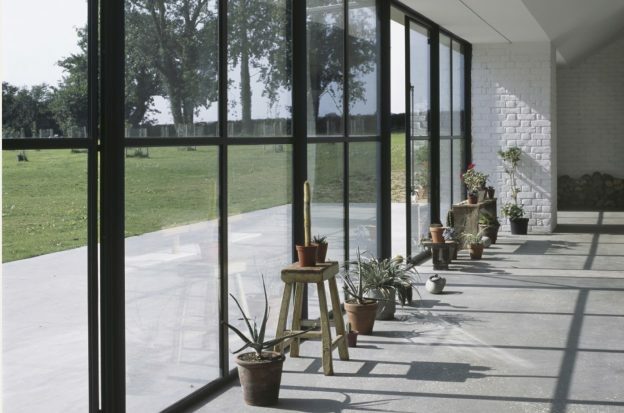 In the living spaces, black floor to ceiling Crittal windows frame the view and maximise the light, opening up completely to create a flowing indoor/outdoor space. A fireplace wall book-ends one side, taking on the vaulted form of the structure. The materials used are simple and locally sourced, including concrete floor, beton brut walls, white painted brickwork, and externally, profiled metal roof and timber cladding. The detailing is refined and carefully crafted. With the materials expressed in their pure form or painted white, texture provides all the decoration that is needed. 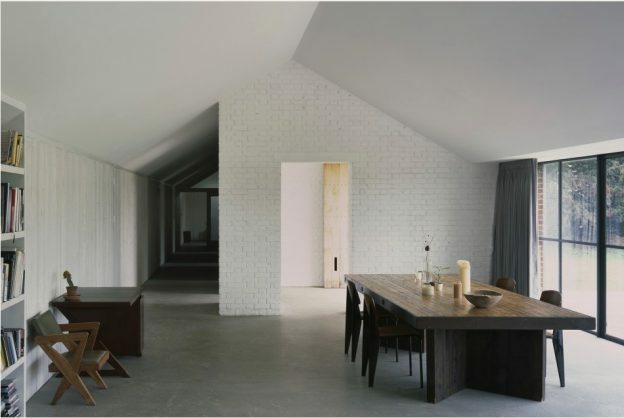 Stable Acre, Norfolk by David Kohn Architects. Winner of the RIBA regional award in 2012. This entry was posted in wonderful spaces. 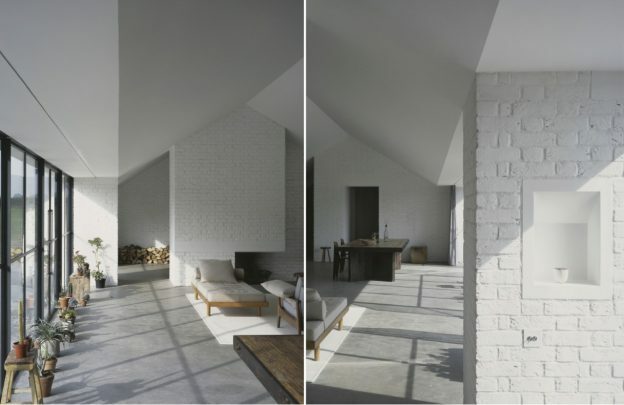 and tagged barn conversion, design, RIBA award, white interior on May 3, 2016 by owls house london..
What an interesting barn conversion,so modern and minimalist. I would love to know where in North Norfolk this is. The huge windows let in so much light. It’s in Haveringland! Nor a bit that I know.. do you?